Ajmer is located in the state of Rajasthan in India surrounded by the Aravali mountain range. Rich in history, the city has seen numerous dynasties ruling it and has monuments from all religions to prove it. Let us look at the top 7 places to visit in Ajmer. The Ajmer Sharif Dargah has been historically very famous for being one the most important shrines of the Sufis. It is very popular amongst tourists who come from all over the world to pay their respects here. 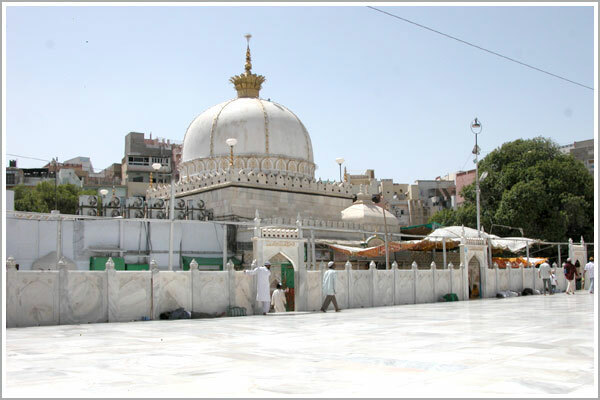 The dargah is said to be the shrine of Khwaja Moinuddin Chishti and was built by the Mughal Emperor Shah Jahan. Revered by the emperor so much so that he built pillars called “Kose” at gaps of two miles throughout the entire stretch between his place of stay Agra and the city of Ajmer. The shrine is the site for a lot of pilgrims who come here to have their wishes fulfilled. One of the most popular places in Ajmer, the shrine attracts more than a thousand visitors daily. 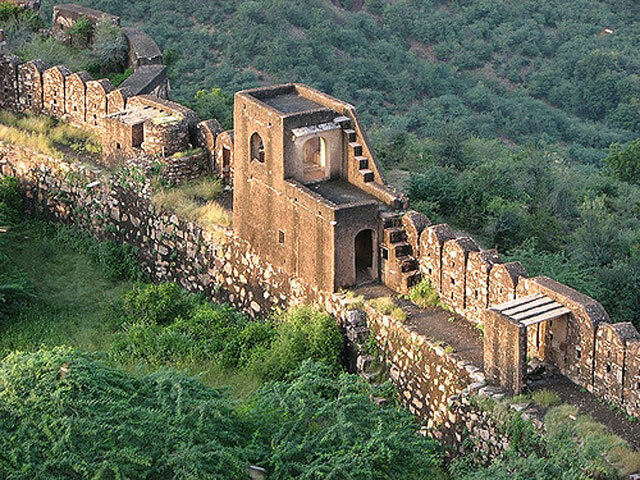 Taragarh Fort was built to guard the city of Ajmer and was has been known to be home to the famous Chauhan dynasty rulers including Prithviraj Chauhan. It was originally said to have been built by the Mughals and has gained immense importance in history for being one of the oldest forts in India. The fort overlooks the city and the walls are said to be a few kilometres in circumference adding to the majestic look of the monument. 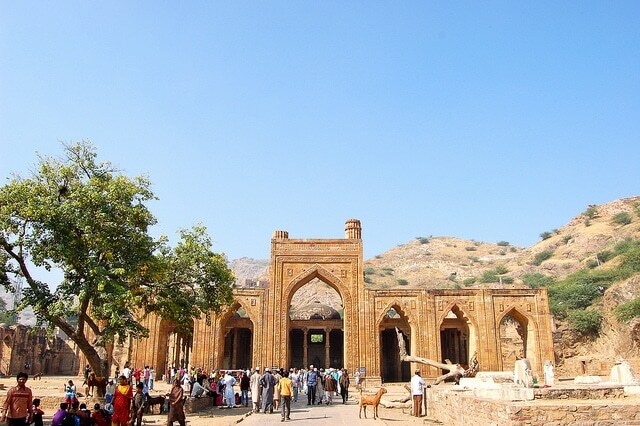 The fort is a must-visit for everyone who visits Ajmer. The oldest Sanskrti College was later turned into a mosque by a Mughal emperor and is located on the slope of the Taragarh hill. The calligraphy on its walls makes this monument a must visits and the ancient temple has relics that have typical Hindu as well as Muslim architecture. Over 40 different intricately designed columns support the roof and the designs on each are unique. The monument is beautifully made and stands in ruins today and yet manages to capture one’s admiration. Situated in the middle of the city, the museum was known to be the residence of the son of the emperor Akbar. The museum today has Mughal and Rajput relics, armour and scriptures. The architecture is Mughal and has been preserved impeccably. The unique fact about this monument is that it was not built on any hill, as many Mughal forts were, but was made right in the heart of the city. 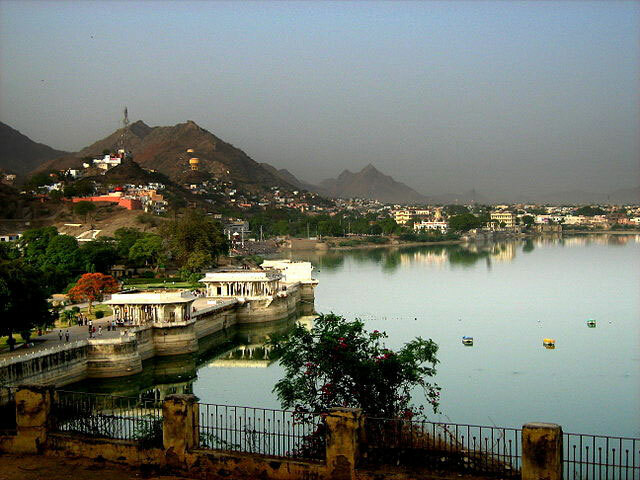 The man-made lake of Anasagar was built by the Maharaja Anaji of Ajmer. Daulat Bagh, a garden which was laid out by none other than Emperor Jahangir lies next to the lake known for its beautiful landscape and flora. Shah Jahan added pavilion (Baradari) between the distance that came from the bagh and the lake. The place is beautiful and well-kept, as it seems like a well-preserved moment in the history of the Mughals. Built in the 19th century, the temple has an inner chamber that houses the “Swarna nagari” that are golden plated wooden figures and idols of the Jain religion. The shrine also has a gold version of the place where Lord Ram was born, Ayodhya. 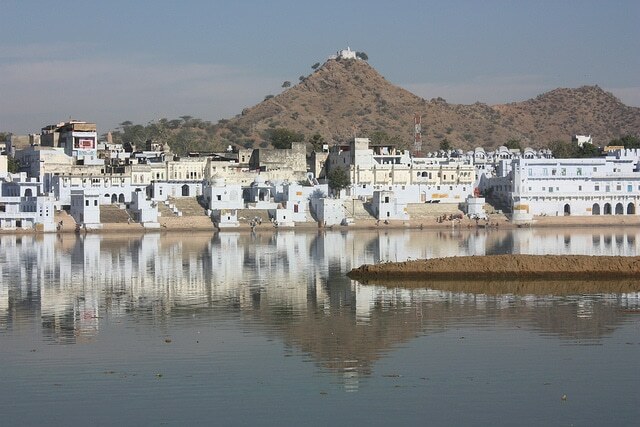 Located about 11 kms away from the city of Ajmer, Pushkar attracts a lot of tourists to the famous Pushkar lake. Pushkar is known as the place where Lord Brahma can be worshipped. The Pushkar lake has as many as 52 ghats and numerous temples. The place is also very famous for the annual Pushkar fair. It is said that none of the pilgrimages to any of the main pilgrim centres of Hinduism can be completed without the blessing of having bathed in the Pushkar lake. Ajmer has a lot of religious importance as well as cultural importance. The city is also known for silver jewellery. Rajasthani crafts are exquisite and the well-known markets are namely Naya Bazaar, Chur Bazaar which have a lot to offer. Apart from the numerous Shrines and temples, Ajmer is a city of monuments and rich Rajasthani culture. Visit Ajmer to relive the amalgamation of Rajput and Mughal histories!